Artificial intelligence (AI) is changing the way people produce and access information. Speech recognition and the understanding of language by software are key to the future of information management. 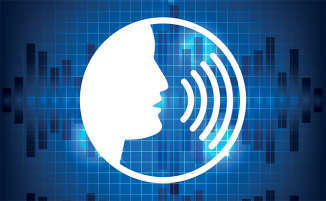 The voice technology market is changing fast, with people using speech-activated applications on a variety of devices, such as smartphones and tablets, not only to consume data but also to interact socially and professionally, and produce wealth. Speech recognition is an incredibly helpful tool for legal professionals working in the office or on the move. Being able to set meetings, tasks and reminders, send emails and create documents through your voice without stopping what you are doing can be extremely productive. There is an ever-increasing demand for agile, flexible and dynamic voice technology products that can deliver mobility, ease of use, reliability and improved security. Speech is more than just another channel of communication – it can be the key to make significant improvements in your firm’s productivity and put your company ahead of its competitors. Voice assistance saves valuable time for lawyers and executive staff, allowing them to shift their focus to higher-priority, more profitable work. An average page of text takes approximately two minutes to speak but 14 minutes to type, which means speaking presents an 86% time saving. In turn, that translates to massive cost savings for firms that charge on an hourly-rate basis. 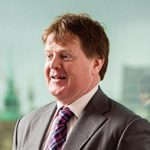 For example, a £300-an-hour solicitor or legal executive would lose about £70 typing one page of text when they could use speech recognition to create a document in a fraction of time and employ their time in a far more profitable manner. It is no surprise that voice technology has become exceptionally sophisticated over the past years, with the development of industry-led speech recognition software that identifies legal and medical technical terms. Additionally, the software identifies corrections made on a document and ‘learns’ for next time, further improving accuracy results. These advances are supported by a number of recognised papers published across several markets, however the worldwide adoption and integration of speech recognition systems in the workplace cannot be ignored by firms that wish to drive efficiency. 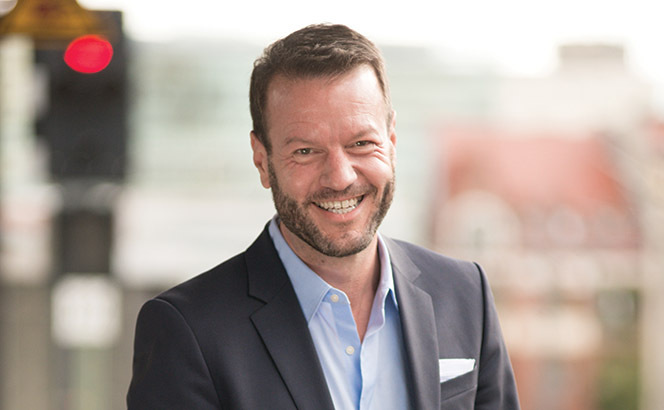 Voice technology allows professionals to work from any location, as well as benefiting from strong security to protect clients’ confidential data and the firm’s reputation. Via the introduction of voice recorder apps, lawyers can opt to work at the office or offsite dictating on their smartphone or on a handheld digital recorder. The files can then be transferred as encrypted recordings to the cloud. 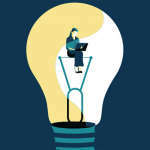 From there, cloud-based dictation workflow management systems offer options for how those recordings are transcribed and formatted into documents. Free versions of speech recognition software or even AI-based chatbots are readily available, however non-professional speech recognition tools can cost you dearly. An inferior product can lead to data security breaches damaging your firm’s hard-earned reputation and severely limit the speed you work at. Several clicks, pop-ups, passwords, keystrokes, saving to queues and authorisations will annoy and slow you down. Use professional, integrated, speech-driven workflows to take the strain. A few simple voice commands can speed you through hands-free reporting, and eliminate the grind and irritation of repetitive tasks. Will the solution be robust enough to comply with GDPR? Other considerations that will save you a great deal of time and money are: will the speech-driven workflow integrate seamlessly with your document creation process? Will your IT department waste hours configuring this integration? Can you centrally manage the solution to accommodate future software and firmware releases? How accurate will end-documents be? And most importantly, will the final solution be robust enough to comply with GDPR? By investing in a professional speech recognition product you will not only free your firm from pitfalls but also truly improve productivity, savings and client service delivery. Speech recognition technology has advanced greatly, with professional software achieving up to 99% accuracy, even in noisy environments. 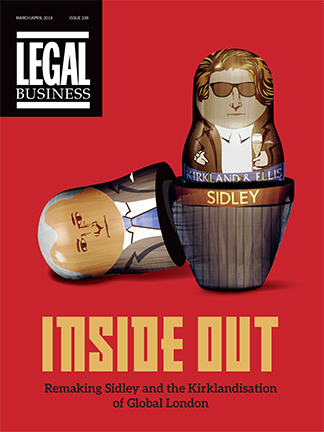 Industry-led software recognises legal and medical vernacular, ideal for lawyers and healthcare professionals. User experience is critical; therefore, consider ergonomics when selecting devices. A lawyer dictating for long hours at the firm will find a handheld microphone more comfortable than a smartphone. Employees working both on and offsite may need a professional voice recorder with Wi-Fi capabilities to create documents faster, as these devices achieve better speech recognition accuracy results. Dictation recorder apps for smartphones should encrypt dictations in real time using the Advanced Encryption Standard/Rijndael Algorithm with a key length of 256 bits. Dictation files should be encrypted again when they are sent to the cloud and again when stored. This end-to-end double encryption is essential for protection from unauthorised access. Devices are replaceable; confidential or sensitive information is not. Encryption is a method of preventing unauthorised access to electronic data by scrambling information, making it unreadable in order to protect it. It is used to protect data on devices, such as computers, laptops, tablets, smartphones or USB sticks. It has become even more important for law firms the more its lawyers use portable devices that can be misplaced, lost or stolen. Encryption can also be used to protect data during transmission – credit card transactions and online banking for example. Encryption is imperative when dealing with a client’s sensitive information, securing documents and keeping emails private. When information is encrypted, you need a password to make it readable again. Encrypting data in your computer, smartphone and other devices is the most effective way to keep client information secure. 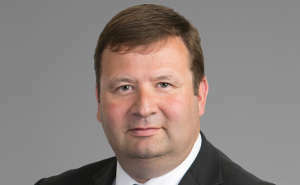 Data security breaches cause a lot of wasted time, money and stress, and undoubtedly harm a firm’s reputation and its efforts for compliance. The Advanced Encryption Standard (AES) is a symmetric block cipher chosen by the US government to protect classified information, and is implemented in software and hardware throughout the world to encrypt sensitive data. Its successful use by the US government led to widespread use in the private sector, leading AES to become the most popular algorithm used in symmetric key cryptography. AES can be found in most modern applications and devices that need encryption functionality. In theory, it cannot be cracked since the combinations of keys are massive. 256-bit encryption refers to the key length of the symmetric encryption technology. It means that the key is made of 256 binaries (zeroes and ones) and there are 2,256 possible combinations. Data encryption does not need to be complicated. Choose trusted brands, and make sure you base your purchasing decisions for speech recognition software and voice recording devices where data security matters, whether present in the device’s features or in any software that comes with it. 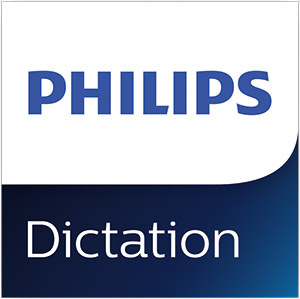 Philips Dictation is a global brand with 60 years’ heritage in the voice technology market, providing the entire speech-to-text value chain – hardware, software, services and solutions – from a single source.